Update: We've heard you! Alpha 2 is now released. Please let us know what you think. In a major effort to move as much UX cheese as possible in a single deployment significantly improve the site browsing experience, we have deployed a new version of the site navigation to Stack Overflow, Meta Stack Overflow and Meta Stack Exchange. The catch is that this is only visible to users that explicitly enable it. This is the list of major changes we're introducing. All major question lists have been merged into a single page, the home page. This page has three tabs: new, which shows fresh content; popular, which shows the top posts over time ranges; need answer which helps you find stuff to answer. Almost all of these lists can be filtered by tag (we are working on the remaining ones). All of them allow different sorts and sets of questions. Finally there are further options to further customize your experience. Questions is now highlighted whenever we show a list of questions, including the home page. Unanswered has been removed. Go to your user preferences page, look at the bottom. Check the checkbox, or un-check it to go back to normal. Checking the box puts you in a waiting list. We allow people in batches to verify behavior under load, ensure we've fresh eyes as we fix the inevitable bugs and so on. There's a five minute cache expiration time, so any change you make might take a little to propagate. Update: As we have 500 active testers now (you are amazing! ), we will delaying new alpha activations until we roll out a set of fixes. Opting in now ensures you'll be in the next few hundreds to see the next version. Update: We have activated 500 more testers after deploying a set of fixes. There are around 1000 testers active now. There are 3000 people in the waiting list, gosh! You might need to wait a little bit. Use this question for general considerations only. Please use separate questions tagged with new-nav bug or new-nav feature-request as appropriate. It's impossible to manage large amounts of bug reports or feature requests if you answer here. We periodically go through the list and ask answerers to move their bug/feature answers to a question and remove the post, and you likely will lose rep once the answer is gone. We will spend the next few days hot fixing bugs which emerge. New ideas and breaking behaviors will be considered for the next iteration. Thanks for all the feedback, we've planned the next iteration now, all the requests we're going to tackle in it are marked as status-planned. The ones tagged status-deferred will be reconsidered in the next cycle. Obviously feel free to test and contribute more, the new homepage is not going away. It's not clear (to me at least) what is the difference between the "need answer" and "no answer" options in the "show" drop down when viewing questions (need answer tab). The need answer tab should show only questions that can be answered, but it is currently showing duplicated questions. I believe that is better to hide these questions in this view. I am an avid refresher. As there is no live updates for certain queries, it is often required. My goto "cheese" before was hitting the Question "button"
However, doing that doesn't return me to the same setup that I previously had. It takes me to the default questions (newest) page instead of my carefully constructed settings. This happens even if "popular" is selected as well, or any setup really. I think part of this was the way it used to work, and part of it not the way it used to work. For example, it used to remember if you were on "votes", "frequently asked", etc. but it never remembered tags for example. I am not sure if there is a need to have it always default to newest, but it is a lot easier to click there (and I am so used to clicking there to refresh in the old UI) that it could at least be considered for retaining the current settings (or even just issuing the same url on click). On the "Old" I use the Active tab, and when I click through my favourite tags, it always shows the most recent activity (new question, edit, new answer). On the "New" I select "recently active" on the sort, which is fine, except when I click the next tag from my favourites the "sort" reverts to its original "newest". I use low-volume tags, and there is no point looking for newest questions, as they are rare, but you keep an eye on all happenings with active instead. It's only an extra click, but it's an extra click, and you did ask. The little blue icon for bountied questions disappears if you filter by Needs Answer > Favorite tags, and does not come back unless you reload the page. The main problem here is that recent activity on questions which need answers is mostly ... answers. So all I am presented with is a list of questions which were just answered. Could the activity be broken out somehow, perhaps into "recently edited"? Because that is really what I am looking for anyway in the "needs answer", "recently active" category. As you can see, all of the Firefox tabs are titled with the name of the site... Shouldn't the Meta one do the same? This is the view when just clicking on the Meta logo. I know this is super minor, just curious. This seems counter-intuitive. What is the 'favorite tags' filter supposed to achieve? -- update 2, even with SO homepage, the feed is not refresh automaticaly, I can see the websockets but is seems they are never updated . I feel lonely ... Am I the only user with this problem, what can broke /block websockets ?? The interface shows that I have 6 favourite tags, while I actually have none. Don't show a "favourite tags" filter if you don't have any tags in your list of favourites. Provide some form of information showing what's going on here (tooltip or otherwise). You are currently waiting to be part of the new navigation test group. Is this a bug that auto-bumps you out of the test group? I don't even realize the steps I took to see this, so I can't reproduce it at the moment, but there was a point in which I visited the questions page but had no tag filter dropdown. 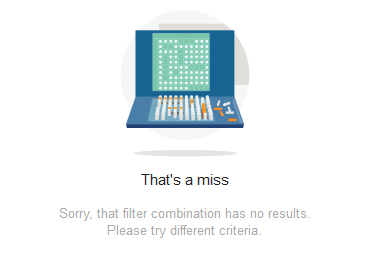 The other filters were present; I clicked the "questions" button again, and the tag filter returned. Perhaps I'm missing something obvious, but that seemed a lot like a bug to me. If open a fresh browser and navigate to stackoverflow.com, the "New" questions opens up by default with no tag filter, showing "recommended" posts and ordered by "newest". Clicking the "Questions" button stays on "New" questions, adds the filter tag (defaulting to "all"), and shows "all" posts - still ordered by "newest." Changing the "filter" dropdown to "favorites" filters just as one would expect and appears to work just fine. So this is all behavior within the "new" questions view - some with the tag filter, some without, and when it filters, it filters correctly, so I don't think it's a matter of "you can't filter this list yet." Perhaps I'm alone in this, but I just wouldn't expect the "filter" (or "show" or "order") dropdowns to just disappear or reappear unless I changed to a list that didn't support that functionality at all. As mentioned by Kayasax, the page doesn't auto-refresh, I have to refresh manually. (Looking at "Active questions" by tags). When I refresh this is seen as a next page navigation in my browser (Firefox), so returning to the last refreshed page after having navigated away a few links deeper (like question, related question, etc.) isn't an obvious back to the first-in-history action any more. When I get the "That's a miss" icon, the page size is reset from my setting (usually 30) to 15. (Another issue is that the icon seems to be related to the speed the content is delivered, rather than not finding any matches. It the content takes too long to arrive, for whatever reason, the icon appears. A refresh without changing any tag usually shows results. But a similar thing often happens in the old interface too). (Probably a personal reason) I don't use all these tabs. I always use a view of active questions in my selected tags, nothing else. I even have a pinned tab for it in Firefox. The old interface had everything I needed and nothing I missed. With the new navigation, I'm having a problem when viewing questions. If I reload the questions page, or click on a question and go back to the questions page, I'm always returned to page 1 regardless of which page I was on. Also, the number of questions per page is always reset to 15. It would be great if this one could be fixed. I'm currently using Opera Beta 37, but this has been happening in previous release versions as well. Not the answer you're looking for? Browse other questions tagged discussion navigation new-nav . Why doesn't Stack Exchange pass the Joel Test with flying colors? Is the badges tab necessary?